They say branding is what people say when you’re out of the room. If you’re looking to leave your mark as you step outside (as business owners, aren’t we all? 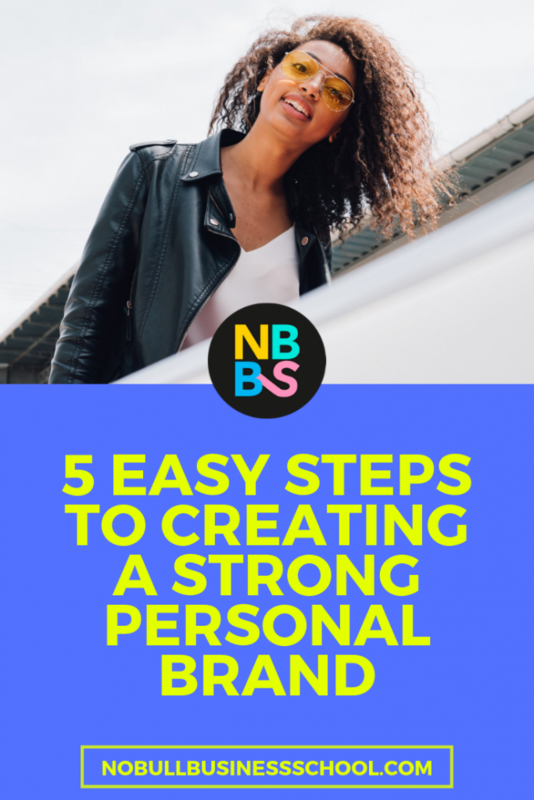 ), the five steps we’re sharing today will help you build a strong personal brand and be remembered for the right reasons. But why focus on creating a personal brand? It’s simple. People are interested in people. We want a story. And more importantly, we want to feel aligned to a vision, purpose or message. Big faceless companies are becoming a thing of the past as new generations search for lifestyle heroes from the people behind the brands. I know, I know. In the words of Chandler Bing could it BE more obvious?! Yet it is important. You want to build a relationship with your audience because they resonate with your story. And you do that by having a clear, authentic brand that people can trust. Authenticity is at the core of any successful business. 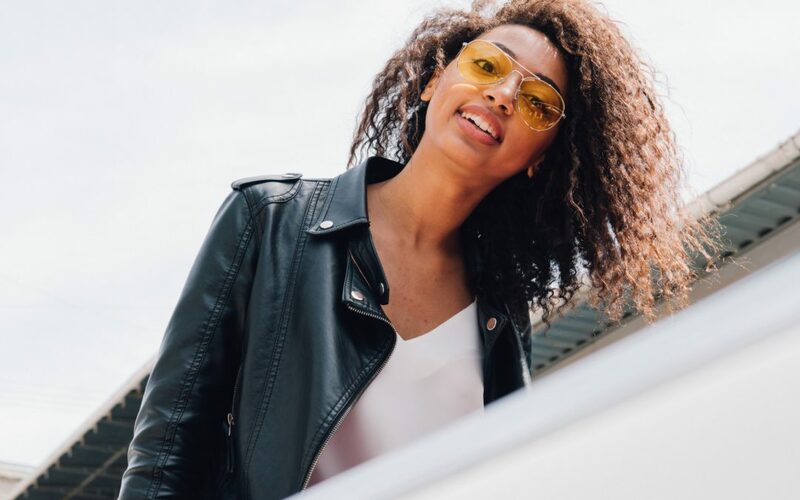 You gotta be consistently sticking to your brand values, and those brand values have to be authentic to how you intrinsically want to be as a brand, not just because it’s cool or it’s gonna make money, but because it’s who you are. You want to reflect your skills, your passion and values, and what makes you, YOU. Speak up for what you believe in, don’t be afraid to go against the grain, and be consistent about your brand message. For example, if you’re promoting a plastic-free life as part of your reusable water bottle company, as consumers we want to see behind the scenes of how you’re living day to day. Instagram stories of how you tackle weekly shopping. Or hearing stories of how you’ve struggled with sustainability. Let us see the real you. We know by now that building a brand is so much more than a logo, but don’t underestimate how powerful a cohesive combination of colours, fonts, graphics and photography can be. Whether your brand is soft, light and airy, or you’re drawn more to brighter tones with a bold font and striking photography, be sure to stay within your brand guidelines throughout your journey. This helps create a recognisable brand, cements trust and loyalty, and helps you stand out from the competition. But where do you need to consider your branding? Great branding combined with the other key elements of your brand can be a winning formula. Competition within the self-employed / business realm is fierce but that doesn’t mean there isn’t room for you. It does mean, however, that your message needs to be loud, clear and consistent. What is it you do and who does that help? Take your message and make sure it’s visible across all platforms, including social media, the homepage of your website, and any offline activities and promotions you do. Make sure these things tell the same story! If you’re not specific about what you do and who you’re doing it for, you’ll end up attracting the wrong customer – or worse, no customer at all because you’ve confused the f*ck out of them in the process. The goal of a strong personal brand isn’t to attract every person, it’s to attract the right kind of person. That person who’s inspired to come back for more, who raves about you to their friends, and who’s invested in your content, products or services. But how do you attract the right customer? You make sure you know your audience from the get-go. Who do you feel drawn to help? Is there a gap in the market that you could fill? Are there people who are dealing with something you’ve overcome? What habits do they have? For example, do they consume content on the go so need short snappy soundbites perhaps? Or do they lead a more relaxed lifestyle and like to sit and read a blog post at leisure? What styles and trends do they follow? By understanding your audience, you will be able to adapt your content, marketing and branding to maximise the relationship and create the best first impression. However, you do need to develop a strong voice within your industry, inject your personality and be consistent. We’ve all seen those moments when a brand suddenly goes from formal to “yasss girl” and it doesn’t fly does it? Cringe. The are a plethora of positives when it comes to developing a strong voice for your brand. It allows your customer to converse with you, it builds authority in your market, and you’re much more likely to be talked about online. Would love to know how you find branding your business / yourself in the comments below! Check out the No Bull Business School Instagram to see what other tips on branding we’re sharing throughout the month. Amazing advice as always and so great to see photography being considered within branding as for so many this ends up being bolted on afterwards with no thought to its consistency. Thanks Karen. Yes totally agree! Great post! The one thing I have to keep being reminded of is that it takes TIME and patience to build a brand. Being consistent on and off line is so important. And using your own voice. I’ve stopped following a lot of others in my industry for this reason. Yes it can help to block out the noise. Glad its been helpful for you. Consistency is key. The more you show up the more recognisable you become!